Ontario, California is an American city that is situated in the southwestern part of San Bernardino County in California. The city receives visitors from various parts of the world each year, and for good reason. The Ontario International Airport which is found in the city is the fifteenth among the busiest airports in the entire United States. At first, Ontario was known for its health resorts and then later citrus farmers took advantage of the rocky soil of the region to begin plating orange and lemon groves, effectively boosting the city’s economy and population. A medium sized city, the total area is about fifty square miles. The city has a mild climate with hot summers and warm winters. The airport located in the city provides local as well as international air travel so getting to and from the area is easy. Enjoy your time here, you’ll see that this city combines the best of what California has to offer. Perhaps, the most famous and most visited destination in California is the Disneyland. The Disneyland experiences a flock of tourists from all around the world and locals frequently trying to find some fun time are not an uncommon sight as well. The ONT Airport is one of the frequently chosen airports to fly your way to the Disneyland. This is also a great option for executives who need to be punctual but the large amount of visitors thronging the LAX becomes a hurdle. The ONT Airport is conveniently less congested as compared to the LAX and executives can easily avoid annoying situations like delays. 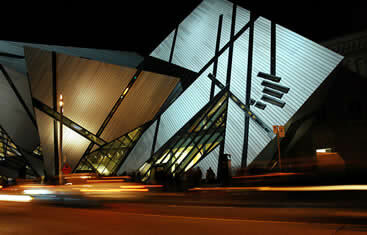 The city of Ontario has many fun activities to enjoy for both the tourists and the locals. 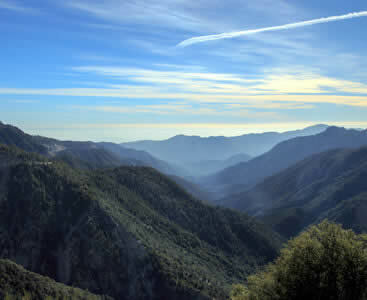 Many of these attractions can be reached easily from the Ontario International Airport. For tourists, collecting souvenirs is a great interest and it is not a hurdle to find gift and speciality shops near the airport. Whether you are traveling from or to Ontario, the ONT Airport is a good travel experience. The ONT Airport, also known as the Ontario International Airport is only a few miles from the east of downtown Ontario and less than 40 miles from the east of downtown Los Angeles. Since it is reasonably close to the city of Los Angeles, it would not be a surprise if you spot a celebrity on their way in or out of the city. First impressions go a long way and nothing says first impressions like an airport facility. Ontario International Airport is the welcoming station for the city of Ontario, California, meaning it will essentially set the course for all events to come, whether it’s your vacation time or a hopeful business deal. Allow everything to run smoothly by figuring out your transportation from the airport, a problem easily fixed with one of our shared ride vans. When you visit Ontario, you’re going to want a ride big enough for everybody – if you’ve got a family bigger than most, avoid cramping into an SUV and reserve a private van from local shuttle providers, checking out awesome locales like the historic Hofer Ranch, a state landmark that prides itself in being the best-preserved ranch in all of Ontario. If your group is in the mood for something a bit more exciting, visit Ontario Mills, the biggest and most iconic movie theater in the city. By being only 35 miles east of downtown Los Angeles, Ontario not only has internal perks, but external as well. Take advantage of your geography and visit the second-largest city in the country by reserving your own ride in the form of a private sedan. On your way back, spend a romantic evening at El Pescador Mexican Grill, Ontario’s most-visited Mexican restaurant to date – while you’re there, be sure to enjoy the delicious seafood dishes and savory cocktails. If you’re looking for a bit of excitement, look no further than Ontario’s Auto Club Speedway of California, a massive race car track that’s known for hosting NASCAR events among other local races. Bring the whole family for a rushing good time by booking your very own private SUV. After spending the afternoon watching cars, get in your own car and take a ride to Scandia, a magical theme park that features mini golf, bumper boats, and tasty eats. Spend the evening at Ontario’s famous San Antonio Winery for delicious tastings and a variety of complimenting cheeses. Arrive to this special occasion by scheduling a ride with one of our top of the line stretched limousines. Once you’ve had your filling of elegant flavors, go back to your hotel and enjoy your beauty sleep at the 4-star Sheraton Fairplex Hotel & Conference center, a luxury facility that features upscale rooms, a massive pool, and worldly dining. The problem with mass groups and public transportation is that there usually isn’t enough room or time for everyone to head in the same direction, a problem that can easily be fixed by booking a chartered bus with us, both of which offer great plus-sized vehicles. If you’re heading to the Citizens Business Bank Arena for an awesome show, get everyone there by getting everyone into the bus, each vehicle dropping off and picking up where and when you please. Wine makers as well as well as olive growers are attracted to the area because its agricultural opportunities. Take advantage of your time here and visit some vineyards or a local olive grower to sample some of the region’s fine wines and olive oils. You’ll be glad you did. → The Graber Olive House which has maintained its olive production since the late 1800’s and is Ontario’s oldest institution and a landmark of the city. → The San Antonio Winery is an award winning vineyard that offers tastings and tours daily. You can sample up to four of the vineyard’s finest wines and then pickup your favorites in the onsite wine store. Owned by Ontario, Citizens Business Bank Arena was opened in the year 2008 and serves mostly as a sports arena although there are quite a few other concerts and events held here as well. The Citizens Business Bank Arena was originally referred to as the Ontario Community Events Center. 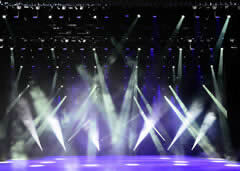 The venue is a popular attraction in the city and is an amazing venue for indoor events such as ice hockey, ice shows, basketball, boxing, graduation ceremonies as well as concerts. → With a full capacity that exceeds over eleven thousand, the Citizens Business Bank Arena has seating capacity for both basketball and hockey seating capacity. Two levels of the venue also boast thirty-six luxury suites. → The area’s first ever event was an NBA preseason game that was held in 2008 and was the first event to be held in the arena. Each year since then the Los Angeles Lakers have held their preseason games at the venue. → The venue features quite a number of interesting events aside from basketball games that include wrestling, boxing, concerts and several other events that a visitor is likely to find captivating. Located on South Turner Avenue, the Hofer Ranch is a historic ranch that includes a ranch house. The ranch has got quite a rich history that dates back to the late 1800’s when Sanford Ballou bought the piece of land on which the ranch currently stands. Later Benton he and his son built a barn on the land. He lived in the ranch and also took charge of maintaining it. → Peaches, grapes and Apricots were the crops that were majorly grown on the ranch when it was operational. 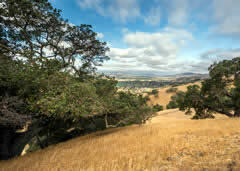 In 1993, the ranch was recognized as a historic district and added to the National Register of Historic Places. → Though it has reduced in size considerably, it is one of Ontario’s best preserved ranches. It is a great place to visit, especially for history enthusiasts.